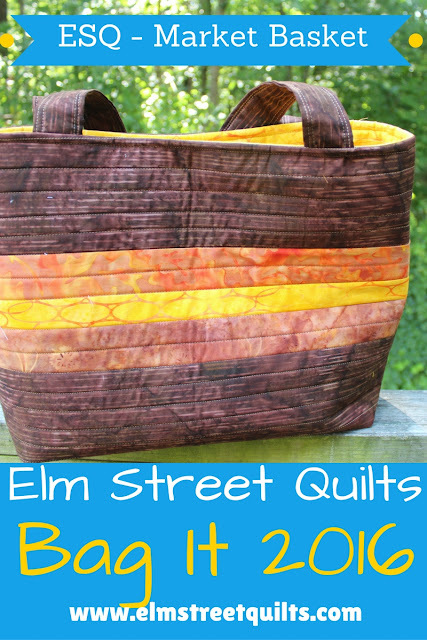 I've been busy making a whole new series of bags in support of the Elm Street Quilts Bag It event which starts in about a month! Making a bag during the event - from my tutorial, your own tutorial or from a pattern - earns you participant entries towards the giveaways. Beautiful market bag. I'm looking forward to Bag It, in September. Yeah! I do bags at Christmas for my grands. I'm so looking forward to Bag It 2016 and will be back home from being on the road for 3 1/2 months. As soon as we are home my new Bernina has to go into the shop as I killed it bringing it in the RV. ACK!!!! This really sounds like fun! I enjoy doing easy bags!